Last edited by Scotvs Capitis; Mar 9, 2007, 01:03 AM. OK, took care of the Plautillas. All Domna, 100%. Row 3, coin 2 definetely a plautilla. Row 3 coin 10 maybe a Plautilla. I've seen this coin but can't recall the legend. Yep, just looked at the original coins, clearly a Plautilla. My error. That's nice Scott, even with the 1, maybe 2 Plautilla's. Do you see some Plautillas in there?! I looked at all the legends and they seemed to be all Domnas, even the funky looking provincial portraits. 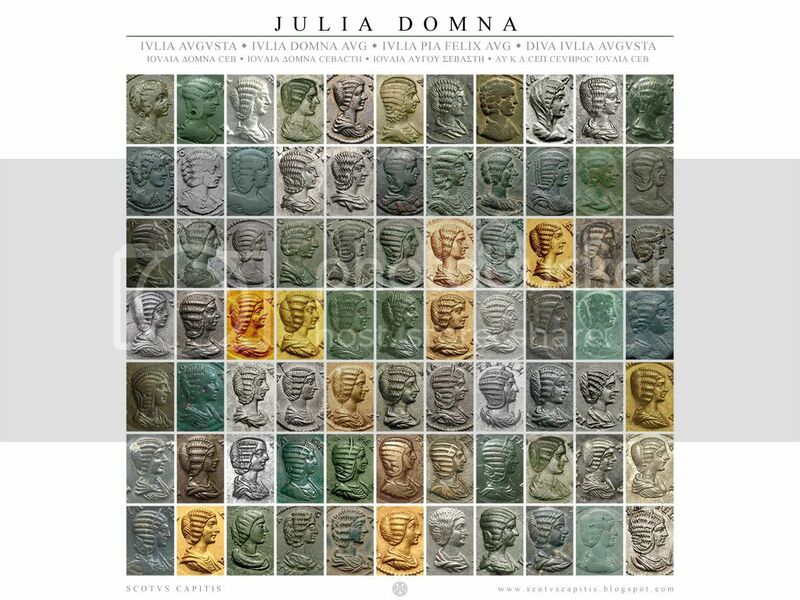 Looking again, 3rd row, second column looks like a Plautilla, but I am almost sure it is a Domna provincial. I'll look at the coin pic again.